What is the Best College Degree if you Want to be a Personal Trainer ? Most colleges offer an exercise science major will prepare you for a career as a personal trainer the best. Exercise science degrees have other names depending on the university such as kinesiology, physical education and exercise physiology. Within the exercise science major there are usually several options which will let you specialize in the career you choose. If becoming a personal trainer is your desired career, there actually may be several options for your major which differ from college to college. In order to choose your option or focus of your degree you are required to think in the future. Here are some questions which you must ask yourself to determine your focus.Specializations such as athletic training, pre- physical therapy, fitness and nutrition, physical education, and public health administration all can be a base of education for a successful personal trainer. What Setting do you Want to Work in ? Do you see yourself in your high school’s gymnasium 30 years in the future? If you want to be a Physical Education (P.E.) teacher colleges have specific programs to prepare you. If you enjoy work in the lab there are clinical specializations. If a personal trainer is your future, you should ask yourself if you want to work in a gym or in a clinic for cardiac rehab. There are many specializations which have different settings so make sure the colleges you look at have what you’re looking for. Do you Want to Work with People ? You’re either a people person or you’re not a people person. If being a personal trainer is your ultimate goal you must like working with people. If you love exercise science but would rather not work with people, there are options out there. What Kind of People do you Want to Work With ? Comparing a P.E. teacher and a cardiac rehabilitation specialist is like comparing apples to oranges. Most colleges have specific programs dedicated to careers who work with different populations. If you really want to work with athletes exclusively you should know the difference from becoming a Strength & Conditioning Specialist (CSCS) who tries to get the athletes stronger, and an athletic trainer who helps prevent and rehab injuries which athletes get. A career as a P.E. teacher could have you spending all your time in your high school gym. For some people this would be a nightmare and a sweet dream for others. An athletic trainer spends most of their days in and around where ever athletes are. Colleges have programs dedicated to corporate health and fitness which would put you in an office. A personal fitness trainer could be in a gym, outdoors or even at client’s homes. Make sure you find out which colleges offer programs which will suit your career desires best. What Hours do you want to Work ? Most personal trainers can pick and choose their own working hours. A P.E. teacher must work during school hours. An athletic trainer must work whenever athletes are training. A job as a corporate fitness consultant may be a 9-5 office job. It is best to find a mentor or talk to experienced professionals in the field you want to pursue. Different jobs related to exercise science have different hours so research, research, research! All these questions serve the purpose of making you think. Is being a personal trainer really what you want to do? Make sure you research as much as possible and look into as many colleges as possible before you make a life-shaping decision. Is it Recommended you Peruse a Minor in a Related Field ? 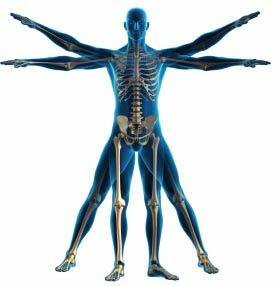 If your major is related to kinesiology you will learn a great amount about the human body and how it performs. While this is very, very, very important for becoming a successful personal trainer there is more to being a fitness trainer than just exercise. Nutrition is the most obvious subject which is important to personal training. Since personal trainers who make the highest income do so self-employed, a minor in business or a related field would be a very smart minor for a kinesiology student. A minor is a secondary subject in which you must obtain a certain amount of credits (less than major) to obtain. For example if you need 60 credits of exercise science courses and you minor in nutrition, you may need 30 credits of nutrition courses to receive the minor. If you decide to declare a minor you will have extra work to do for your degree but it will be well worth it. If you decide your minor you will know the courses you will need to take to complete your degree. It is important to declare your minor early because the upper level courses most likely will all have prerequisite courses. If you do not decide on a minor until you senior year, you may not be able to take the courses all in that year. Many courses have multiple prerequisite courses. For example, higher level nutrition courses require organic chemistry and biochemistry as prerequisites. If you decide to major in nutrition to gain the valuable nutrition knowledge for any personal trainer make sure you look into taking organic chemistry early so you can take biochemistry the next year. All colleges differ from subject to subject so make sure you study the curriculum from all the colleges you apply to to see if anything interests you. Remember something like 80% of people who enter college with a certain major, get their degree in something else, so make sure you read as much information you can and think long and hard about your future career. If you are just graduating high school this is more difficult than you may think. A good idea is to find a mentor in the field you want to pursue for a career and ask as many questions as you can. What is Majoring in Exercise Science in College like ? If you have your mind set on exercise science as your major you will have to pass the required required, unrelated classes first. This usually takes up the bulk of your first 2 years. As with any major, it may be intellectually painful for you to go through the required courses which are seemingly unrelated to your major before you get to the classes which directly relate to your major. Be warned, it will be rough going through hours of literature, history and math classes before you begin to learn about the subject which you paid your tuition for. If you major in exercise science or kinesiology you are most likely a person who loves physical activity and really want to learn more about the human body and how it works. You must exercise patience while in college, the classes which are fun for you will come eventually. When you begin your major courses you will notice there is a good mix of classes, labs and practical internships to help you prepare for your kinesiology related career. Much of the labs and classes will be hands on. You will perform lab tests using complex laboratory equipment, examine cadavers to help your anatomy and physiology knowledge, exercise in a gym-like setting, and put in hours in the library studying the complex systems of the human body. There is a good balance of different types of learning which will help you find which aspect of exercise science you like the most. This will shape you and for the future and a successful career in the field you study. 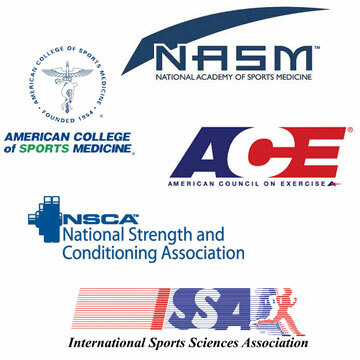 Which Colleges have Exercise Science Degrees ? Finding a college which is a good fit for you is not simply a matter of reading a single webpage or even the pamphlets which colleges mail to applicants. Look at as many colleges as possible to find which is right for you. It is best to research colleges by talking to people who have went through a program which interests you. Fresh graduates are the best to talk to because colleges tend to change their curriculum every so often. For some it can be scary, finally leaving home and being on your own can be either the greatest thing to ever happen to you, or the most difficult time in your life. 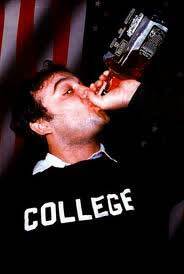 Follow advice of people who have been there, done that to make the most out of your college experience. After college the “real world” awaits.